Want to run faster with fewer injuries? This is a small group format so you will get lots of personal attention and enjoy a rich learning experience packed with good information to help you run injury-free for the rest of your life. Whether your goal is a marathon, a half marathon or just beating your Parkrun mates on Saturday morning, this workshop has you covered! Anyone who is interested in improving their running efficiency and help prevent injuries. Suitable for all runners and anyone wanting to build their running foundation for their particular sport e.g. AFL, soccer e.t.c as learning to run better and more efficiently will help you get better at your sport. 100% guaranteed to improve your running efficiency (money back if for whatever reason you aren't satisfied). "So impressed with the workshop and the E-book....huge thanks Dan! I did a short (3km) run on the treadmill yesterday using the metronome and it felt amazing! My run felt light and springy and took the pressure off my lower back. Can't wait to experiment with this more! :)"
"If you are a runner and you want to improve your technique and core strength, this workshop really helps!" "Thanks Dan for running the workshop on the weekend. I've been a student of movement my whole life (acrobatics 30 yrs, physio 13 yrs, yoga 5 yrs) and I still came away with SO MUCH cool new info to put into practice"
"Fantastic class, demonstrating good exercises for building your core strength, resilience and preventing injury"
"Get some great tips from an expert"
"It was great to give you the foundations you need to get running safely. And the snacks are good too!" "Great teacher! Great location! Come and learn about your body & how to move well! Thank-you!" "Very practical and hands-on, provides useful tips you can use"
"The workshop was very practical with information that can be used straight away to improve my running"
"Highly recommend for new & experienced runners"
"GREAT workshop focused on the fundamentals and keeping your body healthy while training and how to avoid injuries." 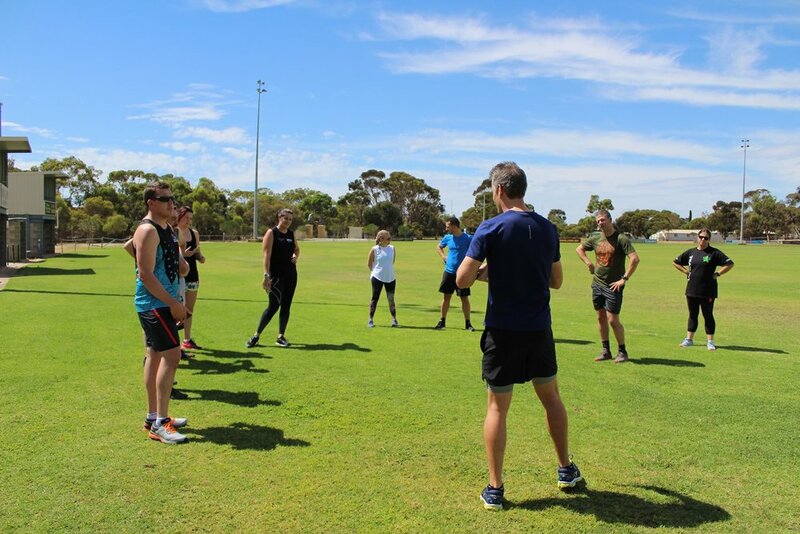 "It is an excellent workshop to learn about basic foundation to running and core strengthening exercises"
"Great for learning the basics of running"
"Very informative, practical and well worth the time and money"
"Do it if you want to improve your running"
"Relaxed and friendly environment and lot's of helpful info"
"Detailed. Information. Now I know how to run"
"Very worthwhile and value for money. Dan demonstrates the exercises and why they are beneficial. He also explains the gait of the runner and how to improve posture"
"Really great pre-hab so you can run for many years"
"I never realised how important core strength is to running - and I really enjoyed learning about the mechanics of running. It wall all new to me. Thank-you! " "Worth doing to better equip yourself with an overall understanding to help meet your running goals. Good foundation "
Dan O'Grady is a results driven qualified Physiotherapist and member of the Australian Physiotherapy Association. Dan has a special interest in helping runners stay injury free and perform at their best. He has been working in private practice for 15 years and is passionate about helping people to move better, feel better and get back to doing what they love.